The third film in a franchise often gets a bad rap, but there have been scores of third-installment movies in history which have pleased crowds. From Indiana Jones and the Last Crusade to Die Hard: With a Vengeance, flicks with the number three in their titles are often as kickass as fresh material. 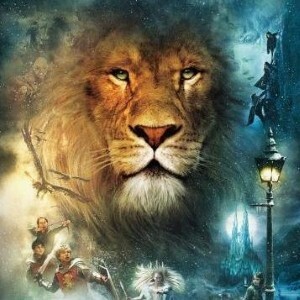 So it's a shame that The Chronicles of Narnia: The Voyage of the Dawn Treader, the third installment of the children's fantasy series, unfortunately holds a place in failed sequel heaven. Sure, the fantastic special effects and the crazy CGI lion are back, leaving kids hypnotized and happy. But a dull story and drab direction will have dads desperate to escape the maudlin land. The film once again follows Lucy (Georgie Henley) and Edmund (Skandar Keynes), two British children who are now joined by their bratty cousin Eustace (Will Poulter). The trio is soon whisked off on a seaside adventure and ordered to save Narnia from the evil forces in their universe. Yeah, it's a load of baloney, but producers of the film expect you to lap it up like it's honey. They even went to town on C.S. Lewis' character from the book, a spritely little rat named Reepicheep (voice of Simon Pegg), and placed him on board the vessel. The rodent's antics seem to be angling to give Remy from Ratatouille a run for his money (we're thinking Remy's title as a beloved rat is safe). Narnia is still a bright, colorful film, so little ones may actually enjoy it. Our suggestion for making it through? Promise yourself that as soon as you get home you'll kick back and watch Terminator: Rise of the Machines. Child-friendly? The Chronicles of Narnia: The Voyage of the Dawn Treader tells the story of a group of English siblings who enter a magical universe and go to great lengths to save it. The film contains some frightening images and scenes involving fantasy action. Recommended for ages 10 and up.